MUSIC: The Spokane Symphony has a new executive director. CONCERT: Chris Cornell is coming to Spokane this summer. 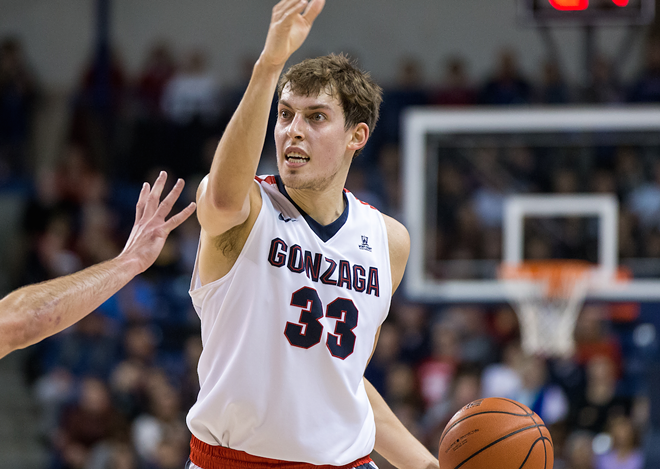 The run-down, injured Gonzaga Bulldogs gutted out an 88-84 victory over BYU last night, keeping the Zags' hopes of an NCAA Tournament bid alive. They play Saint Mary's tonight for the WCC championship. Idaho voters will go to the polls for the Republican primary today with the knowledge that Donald Trump loves the state's potatoes. Ted Cruz, in case you missed it, campaigned in Coeur d'Alene on Saturday, and Marco Rubio has visited Boise and Idaho Falls. Rubio told KXLY yesterday that if he wins Idaho "it's going to shake up this race." But he probably won't. A woman was arrested for burglary, released, and arrested for burglary again three days later, Spokane police say. Saturday Night Live's Kate McKinnon over the weekend did her best impersonation of 110-year-old Cheney resident Flossie Dickey, who probably didn't care, not one bit.